Despite the many reports that our educational system isn't working, the majority of students make it through with the ability to go onto further education or out into the world of jobs and family. A large portion of students, however, are getting lost in the system. These children aren't working and learning at a rate that they are capable of. Some of them are receiving high school diplomas and can barely read, write, or do simple mathematical equations. These are children who can learn if put into the correct environment. That environment isn't a traditional school setting. It is my goal with this information here to help you as a parent know if your child may be one of these that has become lost in the system. We will explore the signs that are sometimes apparent and other times so subtle you would miss them if you didn't know what to look for. We will also discuss the children kind of children who are most likely to fit into the category of needing a non-traditional educational environment. Finally, we will cover what options a parent has available if they determine the current traditional school environment is not working for their child. Let's get started. Children know when something isn't working for them but they may not have the words available to explain why. Younger children especially may know they are unhappy but not have an emotional understanding to know what is causing the problem. Another group of children may not know the educational system isn't working because they have nothing to compare what a working system looks like for them. Have you noticed any of the following traits in your child? 1. Fighting to stay home. Are mornings a constant battle with your child? Children who are unhappy at school will find everything possible to stall when having to get ready. If this happens on a regular basis, you need to question why they are not excited about another day of friends and learning. 2. Frequent headaches or stomach aches. These are very real to the child who finds school a horrible place to be. The psychological upset can manifest itself in frequent pains that prevent going to school, with the head and the stomach being the most common. In this case, a doctor's visit is in order to rule out other causes but if there are no medical reasons, the school could be an issue. 3. Leaves for school in a good mood but often comes home in a sour mood. Children are natural optimists. Younger children may brush off a bad day and get excited to try again the next morning. If your child starts out optimistic and then comes home in a bad mood every day, there is a problem. One of the things this could indicate is your child is being bullied but other things could also be the cause. 4. Brings periodic reports stating they aren't trying. Generalized testing gives educators and parents a fair indication of a child's potential. If your child has been shown to be capable of a certain level of work but brings home reports that they aren't trying, it is important to find out why. It is possible they have a learning difference that hasn't been detected or they feel bored and unchallenged with the current level of work. 5. Complaining they are bored. When a child is not being challenged academically, they become bored and feel there is no reason to be sitting in a classroom doing the same stuff over again. Even if the teacher notices they may be told to read on their own or even help the other kids. This can set them apart from their peers, still doesn't give them challenging material to learn, and leaves them bored. 6. You get frequent disciplinary reports. Children don't have the emotional skills necessary to both identify their emotions and convey them to adults in an appropriate manner. This is especially true of the younger ones. Many children who are feeling frustrated on a daily basis may act out, their frustration manifesting at anger. Many times that anger is at themselves and their perceived inadequacy when they see the others in their classroom "getting it". 7. Your child can't tell you what they learned in school that day. Every child has a day where nothing in particular stands out or something happened between school and home that was more exciting. If your child never seems to be able to tell you something interesting or exciting that was discovered during the day, you need to question whether or not the setting is appropriate. 8. Your child asks to be homeschooled. Teenagers are more apt to come right out and ask if you can homeschool them or sign them up for cyber-school. They know when something isn't working and can often tell you why. Take any requests seriously and try to work out a solution that can help your child. 9. The natural joy of learning and curiosity seems to have disappeared. Kids are naturally curious. They question everything, explore, and generally look for ways to learn throughout the day. If that natural tendency seems to have disappeared in your child, something has caused them to lose it. Most often, that something can be found in their formal educational experience. 10. Your child changes the subject whenever you mention school. Kids don't want to talk about things that upset them. If it seems the subject is always being changed when you try to talk about school, look into the situation further. 11. Your child makes frequent remarks such as "I'm stupid." When a child sees their peers working on something that they can't grasp, they feel that there is something innately wrong with them. When this happens frequently, they may start to feel like they are dumb. In some cases, other students may also be telling them this. 12. Your child doesn't seem to have any friends. Kids vary in social skills but a school is a place where part of the positive experience is learning to make friends. If your child never mentions friends, an investigation into why is necessary. 13. Your child is the class clown. Some kids learn to use humor in order to cope with stressful situations. If you consistently get reports that your child disrupts class with their antics, try seeing if some of the other traits are also present. Any of these indicators can happen at one point throughout the school years, but for most students they are fleeting. What you need to look for is a pattern. The more of the above you notice, the greater the chance you should be looking into alternatives. The earlier you can catch a problem, the better chance you have of getting your child on the road to successful learning. Any child can find the traditional school system challenging. When children go through emotional upheaval at home, such as a divorce or death of a close family member, they often have a period where they don't perform to their capabilities. This doesn't indicate a change is needed. Large classrooms, a basic teaching style that caters best to auditory learners, or even a personality clash between student and teacher can all lead to problems. A child who works better alone or in small groups will feel lost in a large classroom. A child that learns best by touch or visually may not be able to fully comprehend a lecture-type teaching style. Some groups of children, however, are at a higher risk of being left out and not learn to their potential. 1. Gifted Students. Gifted children often face two challenges in traditional school settings. The first is that they become bored. It is difficult for a teacher to continue keeping one or two students challenged when the rest of the class is on schedule. These students may be told to find something quiet to do, help their classmates, or simply ignored. They end up bored. Another problem that gifted children may face is they may have a learning difference in one subject. Because they are so advanced in most areas, this difficulty may go unnoticed or be considered something the child is doing because they don't like the subject. 2. Only Children. This group has spent years before school associating mainly with adults. They are often ahead of their classmates intellectually, consider themselves on the same level as adults, used to making their own decisions, and unskilled in interacting with children their own age. All this can add up to problems in a traditional setting. 3. Bullied Children. We all remember the one child in our school years that seemed to be a natural target for bullies. When a child feels that every minute they need to be on guard against bullying they don't feel safe. A child who feels unsafe can't fully concentrate on learning. Many children who are on the LGBTQ spectrum or have some kind of emotional disability make frequent targets for bullies. 4. Slower Learners. This one is self-explanatory. A child who takes more time to process information is going to get lost and fall behind. 5. Those With attention/hyperactivity issues. These children need an environment where they have little distraction, quiet, and periodic chances to move around. This is not a normal part of the traditional school system. 6. Those on the Autism Spectrum. These children may have issues with sensory processing, causing sensory overload. They may be super-focused on only one topic, unable to understand the normal social constraints that need to be followed in a classroom setting, and have difficulty with social interactions with peers. 7. 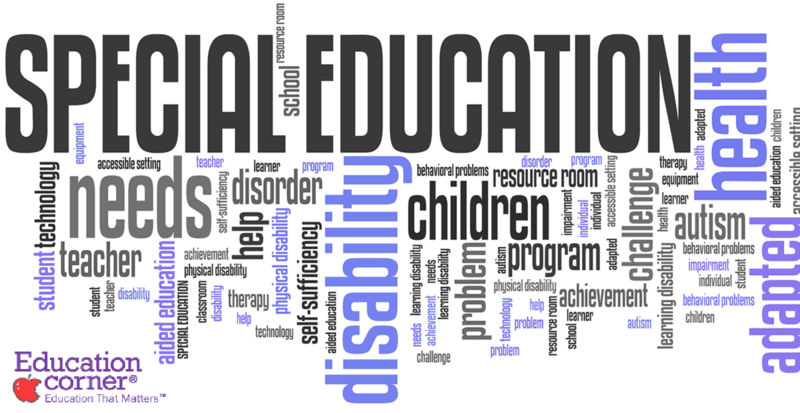 Children in Special Education Classes. Having a child in a class for academic or emotional support may seem ideal, but the No Child Left Behind law has put many of these kids at a disadvantage. Schools are no longer allowed to hold a child in special classes back if they aren't learning. This means that your child may be considered a fifth-grade student and still not be able to handle first-grade math or read above a third-grade level. In emotional support classrooms, overworked teachers are often distracted by one or more behavior problem and the rest of the class is given busy work to keep them occupied, while academics are put on the back burner. Just as not every child who exhibits the previous indicators is a candidate for alternative education, the above groups of children are not meant to be a general statement of need. The school that your child attends may have a program that helps these children thrive in the school environment. This is meant to be a way to see where red flags are most often found. If your child falls into one of these categories, it helps to take a closer look at the indicators in the first section. If you see your child in any of the above or have a belief that they could benefit from a different environment than they are currently in, there are a few alternatives you can look into that may be a better fit. The first thing you should do is try talking with the school to see if you can pinpoint the exact problem if it isn't readily apparent. By doing this, you can gain better insight into what needs to be different for your child. Once that is done, look into one, or a combination of, these alternative schooling choices. 1. Montessori or alternative teaching school. Schools are springing up lately that take different approaches to learning. Like the Montessori system of letting a child lead the way and schools that throw away testing in favor of other methods of seeing how well the child has learned. 2. Cyber-schooling. Online schools are everywhere and many are free, requiring only access to a computer. They run the gamut from planned lessons to self-directed learning, making it possible to find one that meets your child's needs. 3. Homeschooling. Traditional homeschooling requires the parent to be the teacher. There are many paths to this form of education from pre-packaged coursework to unschooling. The important part about homeschooling is you need to find out the exact laws governing this in your state so your education is recognized should your child want to pursue higher education, which many homeschoolers do. 4. Charter School. These schools often follow traditional teaching methods but offer smaller classrooms, more individualized instruction and often a variety of ways for evaluating progress. Kids who simply need a more intimate environment may find these are perfect. Whichever method or methods you choose, make it your goal to stay in close contact with all that is going on so you can evaluate how well the newer method is working. If the fit still isn't right, don't be afraid to try still another. The education your child receives now is going to be the foundation of the rest of life. Finding a way to make learning important, exciting, and appropriate for your child will make that foundation a strong and lasting one. Today we explored how sometimes the traditional educational system doesn't give a child what is needed to learn and thrive. This is in no way a bashing of the system. Children are as varied as adults and some just need a way to reach them that a traditional school setting can't because of time, number of students, or a lack of understanding of what one particular child may need. As a parent, you are your child's greatest advocate and following the information here, you can better understand what to look for and have a direction to look towards for the next step. These first two steps will help you help your child blossom in the educational arena.